Brighton Radiology Associates is proud to be one of the largest private practice multi-specialty radiology groups in Western Pennsylvania. Our practice of over 20 radiologists with diverse training and areas of expertise provide the highest quality of care in Allegheny, Beaver, Butler, Lawrence, and Mercer Counties. Our radiology practice includes physicians with university fellowship training in abdominal imaging, musculoskeletal imaging, women’s imaging (including breast imaging), neuroradiology, and vascular & interventional radiology. Brighton Radiology Associates provides professional radiology interpretive services to Heritage Valley Health System which includes the main campuses of The Medical Center of Beaver and Sewickley Valley Hospital, as well as outpatient sites including Heritage Valley Women’s Center, Chippewa, Moon, Calcutta, Ellwood City, Esmark Center and Robinson. We also service the Ellwood City Hospital, Grove City Medical Center, and the Ohio Valley Hospital. Our mission is to provide accurate and timely interpretations of all imaging studies including CT, MRI, conventional radiography, ultrasound, mammography services, and fluoroscopy. 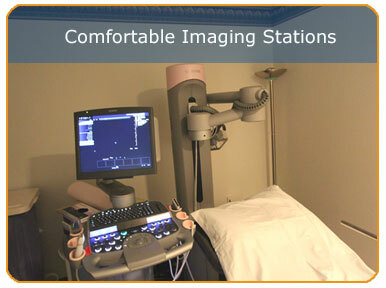 We also pride ourselves in performing a wide breadth of image guided procedures with excellence. Brighton Radiology Associates provides our complete service 24 hours a day, 365 days a year, never outsourcing our after hours reads to an outside company but interpreting these imaging studies by our own radiologists. Please explore our site for more information about our practice and information regarding imaging services we provide. Thank you for visiting!